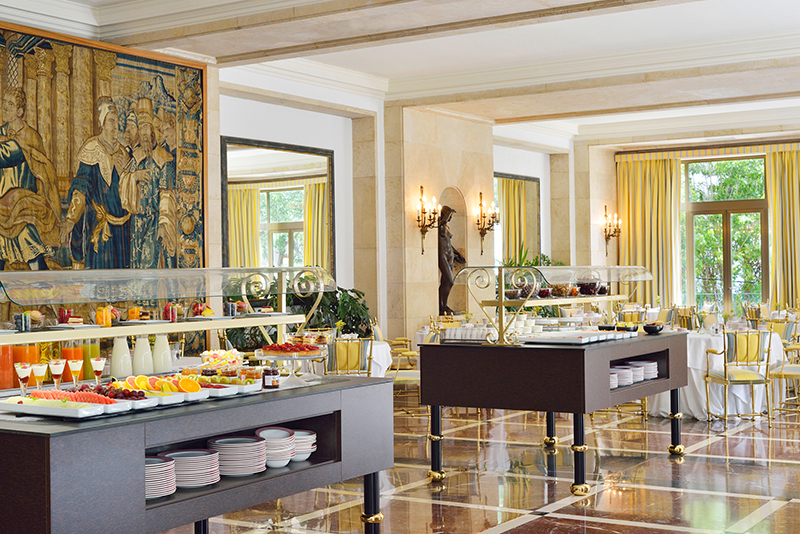 Sometimes, luxury and charming hotels are more reluctant to update their buffets facilities because they care so carefully for their decoration, that most of the time, it is difficult for them to find equipment of these characteristics that complies with the sanitary and hygiene regulations. , have an exclusive design and fit the decorative environment. But when they take the step, success is guaranteed. As has been the case of Hostal de La Gavina located in S’Agaró – Gerona. This hotel is more than 85 years old, it was the first hotel in Spain to be a member of the prestigious association Leading Hotels of the World and it was also declared a Cultural Asset of National Interest by the Generalitat de Catalunya. 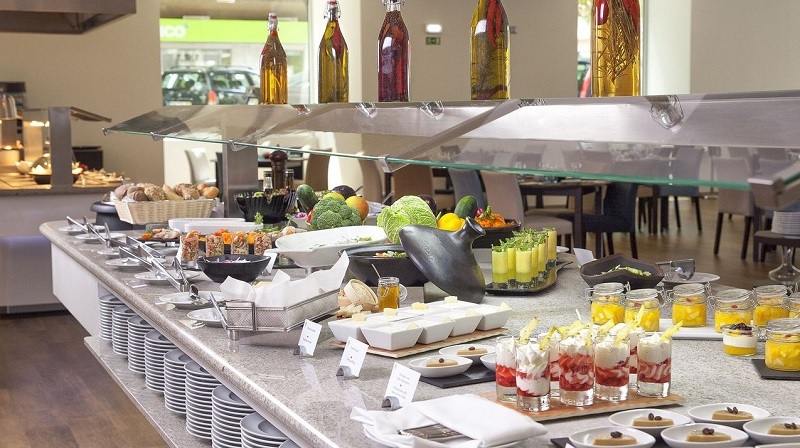 When they made the decision to incorporate the new buffets for breakfasts in their restaurant Vila d’Este, they took into account many technical, aesthetic aspects as well as capacity and functionality. Finally the hotel decided to create its own design in wood and iron with its house supplier and maintain a style of furniture according to the rest of the hotel, and King’s Buffets, studied and advised technically to adapt its technology in said furniture, manufacturing cold countertops frosted in Compact material, lighter in weight and simple to fit, with the engine incorporated under them and hidden inside the furniture itself giving a feeling of transparency and as if it were a classic neutral dresser. All internal mechanism covered in stainless steel and hermetically sealed so there is no moisture and direct contact with the wood and thus avoid the proliferation of insects. In addition, it manufactured the sneeze guard screens with a spectacular design, lacquered in aged gold, with intermediate shelf and with curved glass for double capacity. The special luminaire is housed inside. King’s Buffets designs and adapts all its models and technology to any space and decorative style to ensure that the installation is exclusive, functional, quality and aesthetically integrated into the environment, in both classic and modern dining rooms, in small cozy lounges as well as large All-inclusive hotel dining rooms. 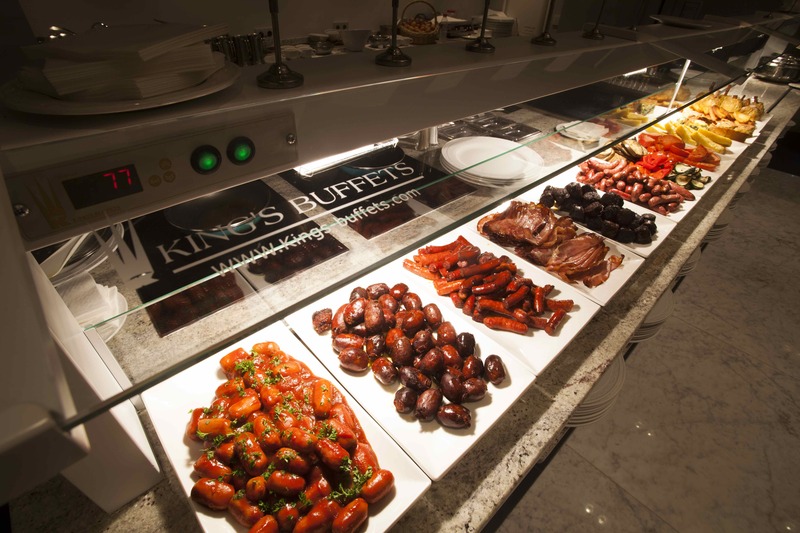 It is a pleasure for King’s Buffets to have a reference such as Hostal La Gavina and we would like to thank the hotel and the property for the trust placed in us for the improvement of their restaurant with our buffets. 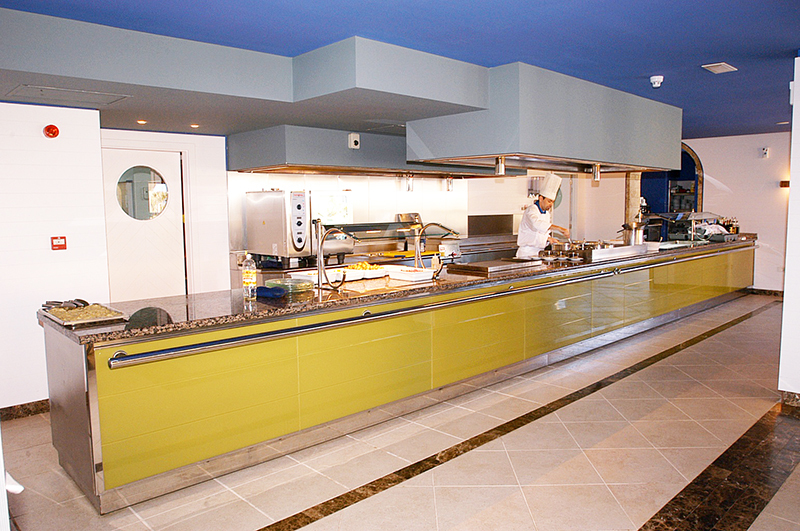 The main function of a buffet is to keep food at its proper temperature. "It is not the same to feed that to feed"